We are proud to announce the sixth weekly winner of our 2nd photo competition, which is focusing on portraits of people working in the food business. The weekly winners will be among the group of “top 10” submitted images, from which our readers will select a final winner. We’ve extended the contest to May 4, so there’s one more week to enter your potential. 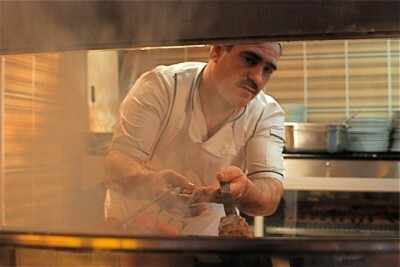 This week’s winning shot, of a kebab maker behind the grill, is by Jason Jones of Istanbul. Congratulations Jason!